Bio: Away designs special objects for the modern traveler. 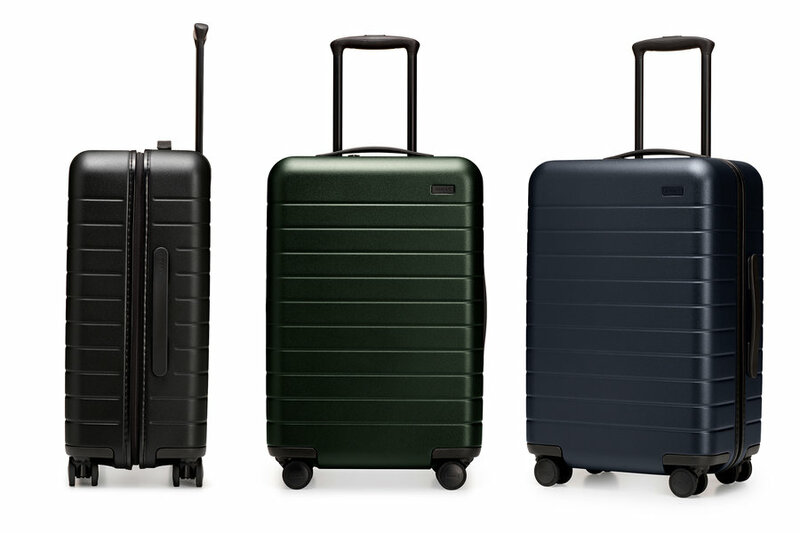 The brand started with luggage, designed with thoughtful features that solve real travel problems—for life. The company is based in New York and is growing from strength to strength, with almost 100,000 suitcases sold. 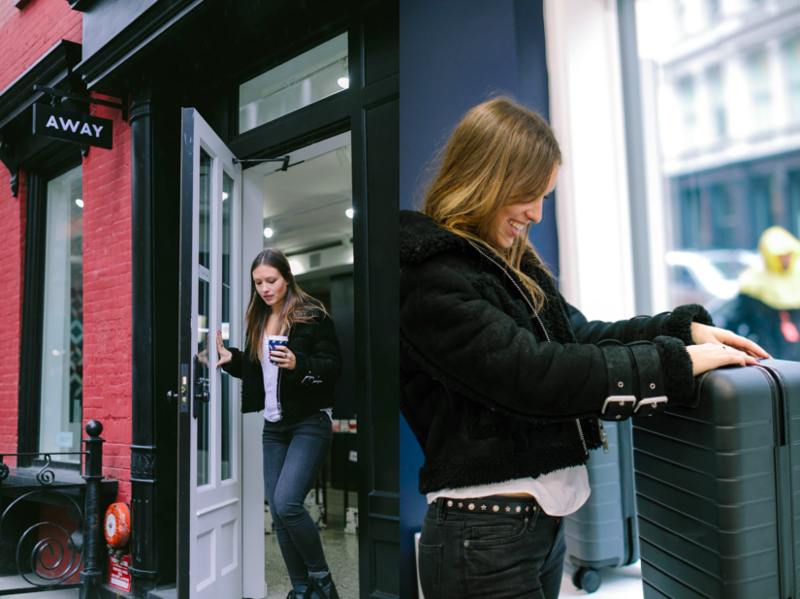 Emma Bates works as Global Head of Marketing for Away, based between London and New York. CT: Emma! Tell me more about the company you work for, Away? EB: In short, Away is a direct to consumer travel brand that’s dedicated to making the travel experience as seamless as possible by creating thoughtful objects for modern travel. Back in 2015, our co-founders saw a major gap in the market and realized travelers we’re being totally underserviced in terms of quality, price and experience. With backgrounds in supply chain management and branding they took it upon themselves to start a new kind of travel brand that really solved the pain points that modern travelers face. CT: With a saturated travel luggage / accessories market, what makes Away so different? 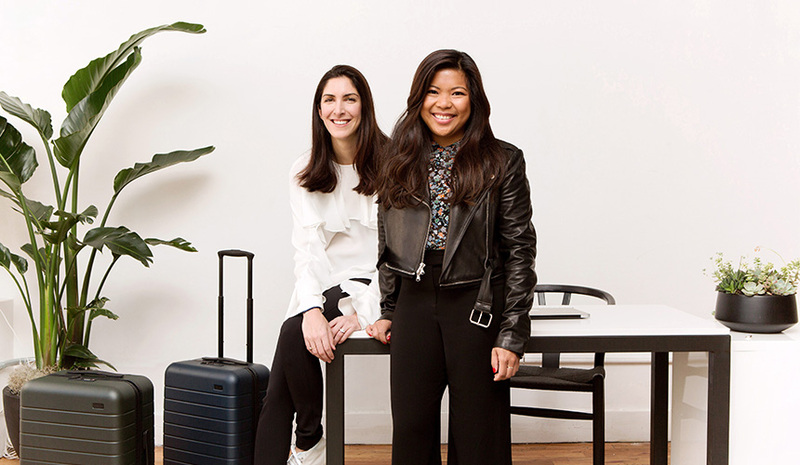 EB: When our co-founders got started on Away, there weren’t any brands in the luggage industry that were actually getting people excited about travel—instead they were all focused on talking about features like zippers and wheels. While those elements do matter, I think what sets Away apart from other brands is that we see luggage as just part of the bigger picture. From the beginning, we’ve been a travel brand first and foremost. Instead of letting the latest trends or technology dictate how we make our bags, we take into consideration the real experiences of travelers, translating their needs into the thoughtful design of everything we make at Away. We are actually changing the way people travel by solving its most common pain points. CT: What do you do in your role? EB: I’m focused on global brand marketing partnerships, which means I’m working on everything from product and content collaborations to experiential moments and activations (like Chez Away!). CT: What do you think unique social content actually is? EB: Anything that stands out but remains true to a brand’s ethos. I think social media can get a bit repetitive at times, so in order to keep engagement high it’s key to present your community with new and exciting ideas and visuals. For us, unique social content means content that inspires people to travel more. CT: How important is working with influencers? EB: Incredibly important! Influencers act as an extension of our brand. They help us reach people and areas we might not have the internal bandwidth to target regularly. That said, it’s crucial to partner with influencers that fit our brand identity to be sure that content will be authentic—it’s so easy for a brand community to tell what’s forced or inorganic when it comes to content. CT: How do you and the team work on the Away brand identity it has today? EB: While much of our brand identity was determined by our Co-Founder and Creative Director, Jen Rubio, maintaining our brand identity is a completely cross-functional effort. From creative to customer experience, growth marketing, partnerships, and people teams, we’re all living and breathing our company core values while ensuring we’re constantly innovating. CEO, Away Stephanie Korey (left) with Co-Founder and Creative Director Jen Rubio (right). CT: I guess you love to travel too? And it looks like you have to travel often with your job, how often are you away? EB: I do love to travel! I’m very fortunate to work for a company that encourages its employees to explore the world. My last work trip had me between LA, Palm Springs, Sri Lanka and Paris–all in a matter of weeks! CT: Away seems like a pretty cool company to work for – what were you doing before and how did you hear about Away? EB: I was introduced to Jen (Away Co-Founder) through a mutual friend and had been following Away closely since launch. Before joining the team, I had been consulting for a variety of tech startups in London + New York. CT: You have your own global social following – 74K followers on Instagram which is incredible! – How do you find juggling your own channels with the global channels of Away? EB: Thank you! Right now, everything I’m working on at Away takes priority over my personal Instagram. My account is more of a fun personal outlet for me to post about travel and what I get up to outside of work, so I don’t feel too much pressure to juggle! CT: What is new for Away this Fall? EB: So many things! We started off the season with a limited edition collaboration and pop-up hotel experience at Amastan Paris during Paris Fashion Week. We then brought our pink luggage back, launched a limited-edition collaboration with photographer Gray Malin, and most recently introduced our Winter Collection–you’ll have to stay tuned to see what’s next! CT: What’s next for Away? EB: At Away we’re always thinking about two things: how to make travel more seamless and how to inspire people to travel more, so as we make our way into 2018 we’ll have those two things at the top of our minds. We’re excited to be launching more collaborations that will reach demographics we’ve yet to target thus far, introducing new products that enhance the travel experience and expand our retail footprint (maybe even globally!). This entry was posted in Interviews and tagged accessories, Away, Emma Bates, Interview, Jen Rubio, Stephanie Korey. Bookmark the permalink.